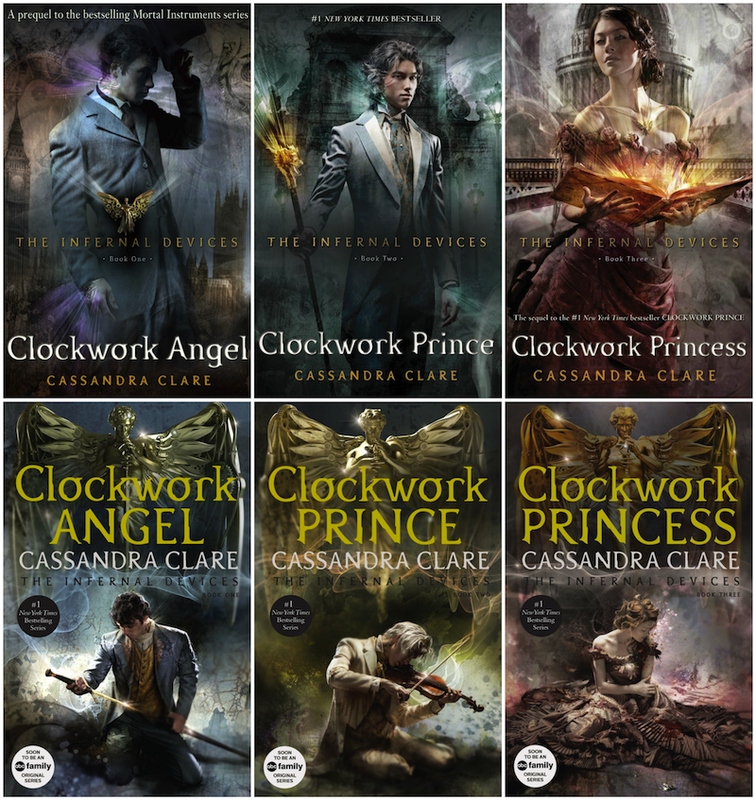 ABC Family is turning Cassandra Clare’s Shadowhunter series into a television show, and to celebrate, both The Infernal Devices and The Mortal Instruments series have received re-designs! 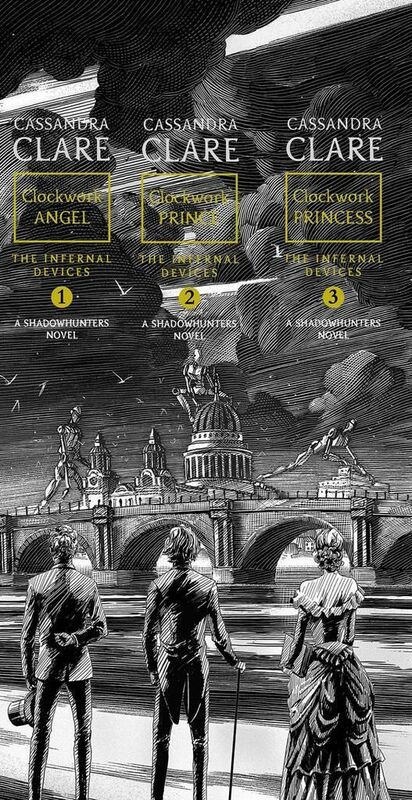 We’ll tackle the much lengthier Mortal Instruments series tomorrow, but for now, you can check out the two versions of The Infernal Devices above. Which box set would you display on your shelves? The original covers which feature the trio standing and glowing (top) or the seated and very dramatic redesign (bottom)? Keep reading for the synopsis, to check out the gorgeous re-design spine art and to vote for which covers you prefer! When 16-year-old Tessa Gray crosses the ocean to find her brother, her destination is England, the time is the reign of Queen Victoria, and something terrifying is waiting for her in London’s Downworld,where vampires, warlocks and other supernatural folk stalk the gaslit streets. Only the Shadowhunters, warriors dedicated to ridding the world of demons, keep order amidst the chaos. Friendless and hunted, Tessa takes refuge with the Shadowhunters of the London Institute, who swear to find her brother if she will use her power to help them. She soon finds herself fascinated by — and torn between — two best friends: James, whose fragile beauty hides a deadly secret, and blue-eyed Will, whose caustic wit and volatile moods keep everyone in his life at arm’s length . . . everyone, that is, but Tessa. As their search draws them deep into the heart of an arcane plot that threatens to destroy the Shadowhunters, Tessa realizes that she may need to choose between saving her brother and helping her new friends save the world… and that love may be the most dangerous magic of all. Honestly, I don’t think you can go wrong with either of them. They are both simply stunning. Blogs furthermore provide the impression of different customers through the review solution, that may conveniently support different people.